NEED YOUR HEATING OR AC FIXED? We’re committed to your satisfaction. Whether we’re repairing your air conditioner, replacing a part on your furnace or heat pump, or doing a routine maintenance on your HVAC system, you can count on us to come quickly no matter where you live in the Greater Raleigh area. We are honest and stand behind our work. We can handle all your heating and air conditioning repair needs, whether you need us to service or repair your furnace, heat pump, or your Central Air Conditioning system. We will identify and fix any problems with your HVAC unit(s), check and adjust your freon levels on your air conditioner, and do your annual maintenance in order to keep all your heating and air conditioning equipment running at their best and save you money! Our quality workmanship is second to none. Our satisfied customers are the ones who refer the majority of our HVAC business. They trust us to be reliable, fast, and they know that we stand by our work. We have an A+ rating with the Raleigh Better Business Bureau and we have been providing air conditioning & HVAC service for nearly 25 years. We repair and service all heating and air conditioning brands, types, makes and models. 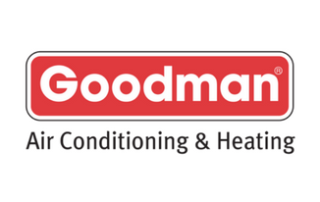 Read about what makes us one of Raleigh’s best Heating & Air Conditioning Company. When your air conditioner stops working, you need a Raleigh AC repair company that responds quickly, works efficiently & stands behind its work 100%. Whether you have ice on your outside air conditioning unit and no air is coming out of the air vents, or your home is simply not cooled to the right temperature, we can handle both your emergency air conditioning repairs or routine AC repair service calls. No heat? Is your furnace or heat pump not heating your Raleigh home properly? Our certified HVAC techs are trained to repair all makes and models of furnaces and heat pumps. Count on us to get to your home and fix the problem quickly the first time around. As your local Raleigh heating repair company, Cool Change Heating & Air is big enough be able to help quickly and small enough to care. Regular scheduled maintenance on your Raleigh HVAC system will reduce your heating and cooling costs, and prevent untimely and costly repairs to your heating and air conditioning unit(s). We offer both Fall and Spring heating and cooling tune ups to troubleshoot potential issues with your heating and air conditioning system before any breakdown occurs. Check out what our Raleigh heating & air conditioning repair customers have to say about us! The main reason we believe you, as a customer, should choose Cool Change Heating & Air over someone else is easy: We will consistently deliver complete satisfaction. We will answer the phone, make an appointment, keep the appointment, call when we’re on the way, make an honest diagnosis, and repair your HVAC system for a fair price. Each and every time. Having technicians who are highly trained in HVAC repairs, rather than HVAC sales, is also a huge part of our continued success. It makes a big difference on how happy customers are if you are able to repair the HVAC system they already have, rather than try to sell them a new one. Let’s face it, anyone can sell a new HVAC system and install it. Most Raleigh Heating and Air Conditioning companies have exactly that business model. That’s not what we, at Cool Change Heating & Air are about at all. It takes a company that cares about their customers and a real professional to properly repair HVAC systems consistently. Our business model is to provide our Raleigh customers the best option for their own personal situation, not ours. When you choose Cool Change Raleigh, your are choosing a company that has your best interest in mind. We provide HVAC service and repairs throughout Raleigh, NC & the Triangle. Whether you live in Cary, Wake Forest, Rolesville or Durham, we have you covered. Whether you need to schedule a heating or cooling service call or a HVAC maintenance call, be sure to take advantage of our current HVAC specials. At Cool Change Heating & Air, we are committed to treating our Raleigh customers the way we ourselves want to be treated when we purchase a service. With honesty, with quality workmanship, and with speed. We know you don’t have time for your air conditioner, thermostat, furnace or heat pump to go out on you. Give us a call or text us at 919-457-2494, and we’ll show you the difference a great HVAC company can make. Customer satisfaction and our commitment to serve is our #1 priority, goal and concern. If you are unhappy in any way, we’ll make it right. Our customers count on us to give them an honest diagnostic of their heating & cooling system and evaluate the solution based on their best interest, not ours. Quality means “doing it right when no one is looking.” We refuse to take shortcuts so you can count on the job to be done right consistently. We believe in letting our customers know when we’re on our way, answering the phone when called, and calling back if needed. Whether you are looking for information about maintaining your heating or cooling units, or troubleshooting your HVAC, we love to share our knowledge of air conditioners, furnaces, heat pumps, or even filters! What Is The Best Air Conditioner for Your Raleigh Home? Need AC or furnace repair immediately? We’re your Raleigh Heating & Air Conditioning repair experts. We offer emergency AC Repair Service all over Raleigh, Cary & Wake Forest and the greater Triangle area.